Restless Sailor, Inc. is a fully licensed and insured corporation. We are based in Fort Myers, FL. Restless Sailor has been serving the sailing community since 1994. Founded by Capt. 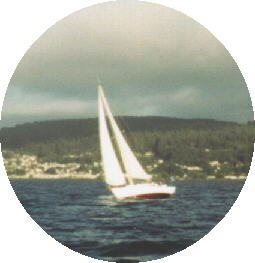 Joe Hanko in Astoria, Oregon, the business first offered yacht delivery on the west coast from Mexico to Canada. Private sailing instruction soon followed. By 1995, customer demand led us to add rigging service, yacht management, and custom restoration/equipping of cruising yachts. In 1999 the company was incorporated, and remains privately held. After 7 successful years on the west coast, the business relocated to Ft. Myers, Florida, its current base of operations. As a small, privately held firm, we are able to respond to our customers needs on a personal level. Many of our clients remain with us as good friends. Our goal is to provide extremely high quality service, demonstrating respect for the client and their yacht, in a relaxed atmosphere. All our employees are full time, committed professionals. All our Captains are USCG licensed, experienced in yacht deliveries, and are certified US SAILING Instructors. A US SAILING certification insures our customers that they are receiving the most qualified, competent, and professional sailors out there. Our staff is also involved in sailing on a personal level, racing and cruising their own boats. For us, sailing is not just a job, it is our passion! Copyright © 1999-2018 Restless Sailor, Inc.